Stay at this Wainwright hotel – conveniently located one block from Highway 14, close to historic Main Street – with complimentary breakfast. 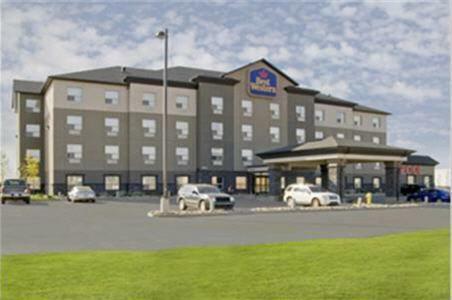 The BEST WESTERN Wainwright Inn & Suites is committed to providing the best in customer service and accommodations at an affordable rate. This pet-friendly hotel is situated near many businesses and area attractions – perfect for any traveler. Hotel guests are close to the Wainwright Museum, Wainwright Rail Park and Train Tressel. Corporate travelers will enjoy convenient access to Hardisty, Credit Union and Sun Life Financial. Favorite local events include the Wainwright Stampede, held annually the third and fourth weekends in June. This Alberta, Canada hotel offers spaciously-appointed guest rooms and suites, each complete with a microwave, refrigerator, cable satellite television and free high-speed Internet access. 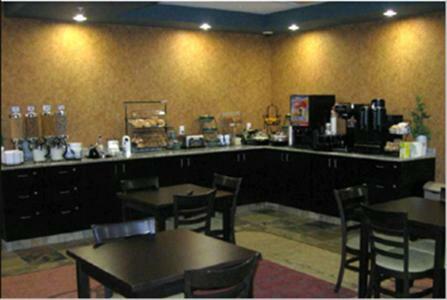 Guests will receive a complimentary deluxe continental breakfast each morning. 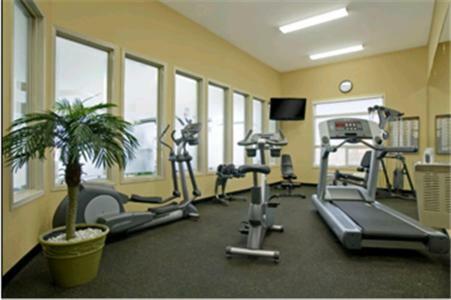 Additional amenities at this Alberta hotel include an indoor swimming pool, fitness center, business center and guest laundry. For superior customer service and a convenient location in Alberta, Canada, make a reservation at this great hotel today. Pet Sitting / Dog Walking in Wainwright, Alberta. If you are the owner of a Pet Sitting or a Dog Walking business in Wainwright, Alberta and wish to add your business listing free of charge to this city please submit your info here.